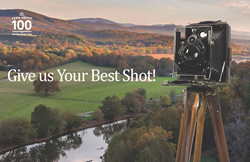 Voting to select the top three photos for the 2016 Farm Credit of the Virginias Calendar will be open to the public at: http://farmcreditofvirginias.com/photo-contests/voting-register.aspx on July 5, 2015. More than 150 photos were submitted by Farm Credit of the Virginias’ members, employees, and friends from January through May for the 2017 Calendar Photo Contest. The 20 finalists are displayed on the Farm Credit of the Virginia website. Those participating may vote once per day for their favorite photo, now through July 18. The top 3 photos will be featured in our 2017 Farm Credit of the Virginias calendar and used in other Farm Credit marketing materials. The photographers will also receive cash prices of: $100 – 1st place, $75 - 2nd place & $50 for 3rd place!